It's that time of year again. But for your Halloween costume this year, why not go with a bigger "Wow!" factor? As a special offer for our current patients already wearing contacts, we are offering a single price of $75 for a pair of Phantom contacts, a contact lens cleaning kit, and an in-office check. Just choose your favorite design from the selection as shown. Please note that most lenses do not have prescription power. 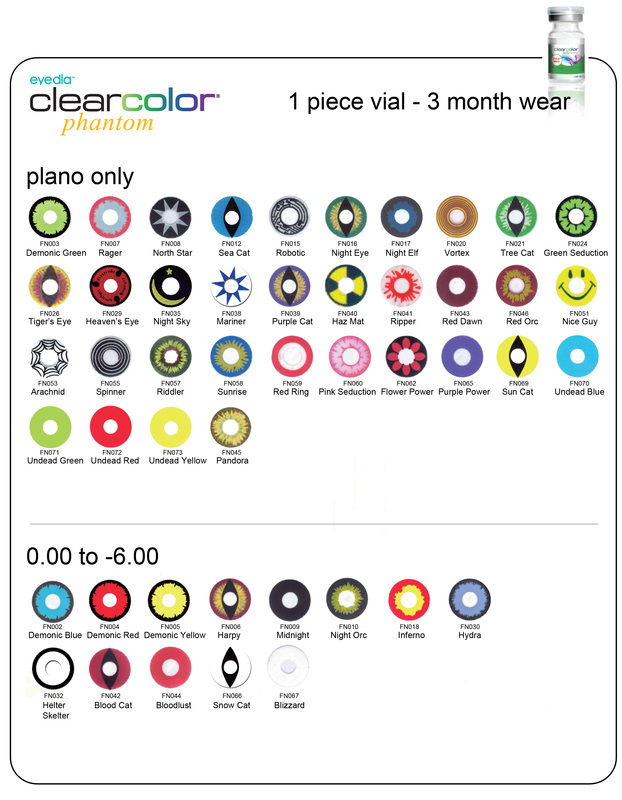 Some of these lenses are available with minus prescription power for nearsighted people. If you are not a current patient or if you have not worn contacts before, we can still get you set up with Phantom contacts. However, additional charges may apply.